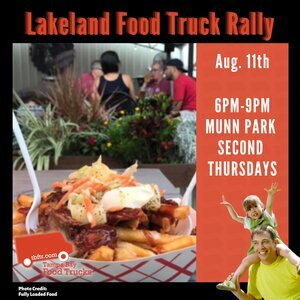 Join us on the final Friday of each month for the Plant City Food Truck Rally on the corner of Drane Street and N Palmer Street! Don't forget the mobile DJ truck will be on site as well! In the Middle ***UPDATE*** We apologize In the Middle won't be able to make it tonight due to technical difficulties.